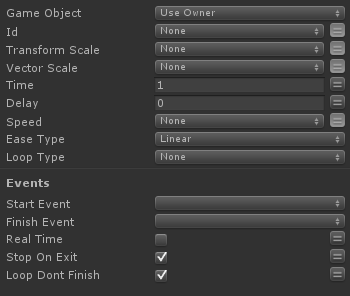 Instantly changes a GameObject's scale then returns it to it's starting scale over time. Scale From a transform scale. A scale vector the GameObject will animate From. Last modified on 5/12/2011 1:59 AM by User.